Corporate mid market and large clients using complex (enterprise) software solutions. Testersuite is a very user-friendly test management tool that brings structured and pragmatic testing within reach of any type of organization. The powerful modules support the complete testing process from start to finish. Testersuite supports managing systems and requirements, the design and execution of tests and the registration of defects and monitoring their progress. 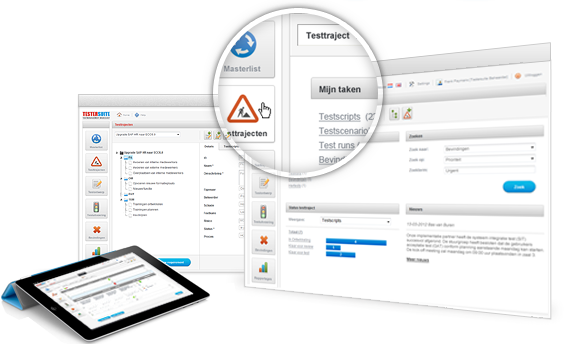 Testersuite makes testing easy! - reporting on test progress and test coverage. All consultants, developers and business testers that had to work with testersuite were also very positive. They didn't need any training because Testersuite is very intuitively. I must say I missed some standard reports but I solved this problem by using the standard Excel export function and changing the output to my needs. We are working hard to further expand the reporting possibilities in the coming 2015 releases.